I've been looking through some adverts for models kits for sale for my fathers birthday and stumbled across these. has anyone ever had any experience building them? 1) Is the Corvette, being 1/8 scale of high detail? Flocked carpet for the interior, Engine wiring, or is it along the same line as a 1/25 or 1/24 scale kit. 2) Is the Chevy engine or the Ford SOHC engine fully functional? Can you turn the engine over with a crank handle? Also, do you have to build the engine internals or are you simply just building the outer shell of the engine? Any knowledge would be warmly appreciated. "THE BEST FRIENDS I'VE EVER MADE IN MY LIFE BUILD MODEL CARS." 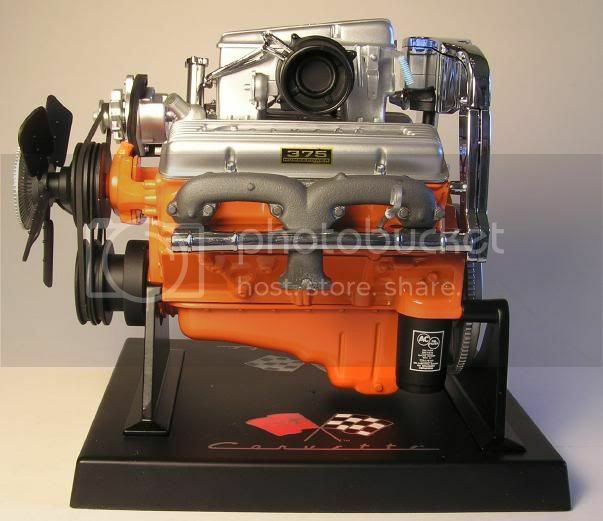 harrypri - I found the hemi engine (clear block) and was impressed by the pics I found, and the fact it is a working model. I might look further down that route. Shame the Corvette has not additional detail on it. Tommy - Great build. Very well detailed. I wouldn't be fitting the engine into the car, it was an either or choice for his birthday - Also stumbled across a rotary engine which might require further investigation. The 1/6 engines are very nicely detailed and look great when done. There are also Ford and Chrysler drag race engines in the series. 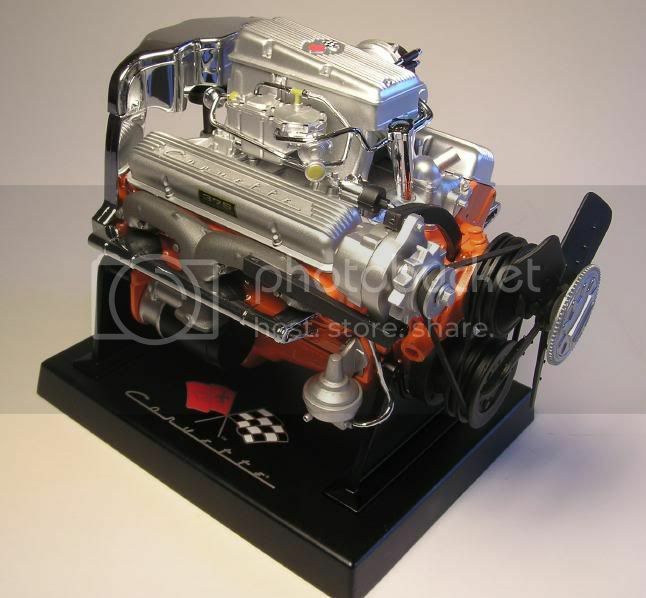 The larger 1/4 scale HEMI is a very detailed and intricate kit. It's a bit of a challenge to build, but looks great when finished. I have all the 1/6 engines and the 1/4 HEMI, too...I'd recommend any of them! Do you know the AWG gauges for ignition wires and gas and heater hoses for scales 1/8, 1/12 and 1/16?